The second character poster for The Imitation Game has hit. 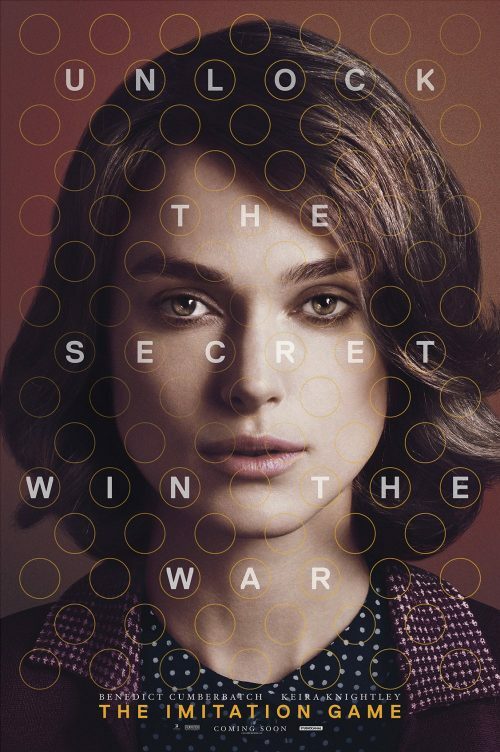 It’s Keira Knightley as Joan Clarke. Joan is as pivotal, in a way, as Alan Turing in the war against Enigma. She was a mathematician in her own right and, at one point, Alan Turing’s girlfriend and fiancée. She seems to be one of the unsung heroes of the time. We know all about the men who worked on cracking the Enigna, and Lorenz, code. Not that much is said about the majority of the staff at Station X. The Women. This time we see these forgotten people in a starring role. It has been said that the film covers the relationship between Joan & Alan more than actually happened but for the most part it does seem quite a good telling of the cracking of the codes. Even today we don’t know the full story of what went on behind the Bletchley Park gates. We may never know the full story.